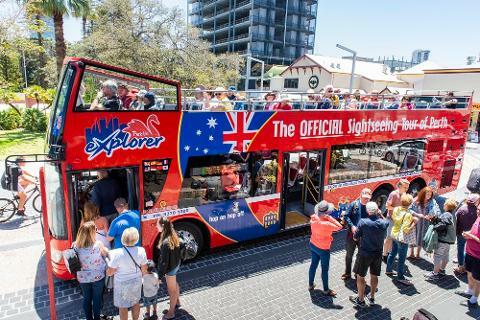 Enjoy the best sights of Perth & Kings Park on top of an iconic open top double decker bus. 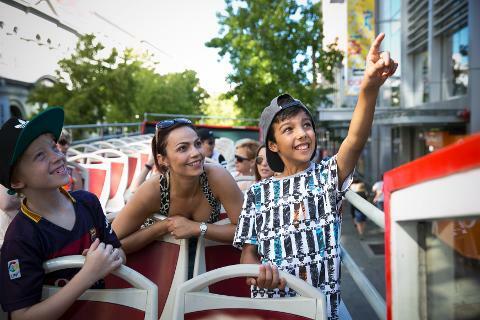 No other tour vehicle can offer such a birds eye view of all the top attractions. Take great photographs from the top deck, no glass window to spoil the view. Enjoy a full commentary as our experienced and professional drivers take you on a tour of our beautiful city and Park. 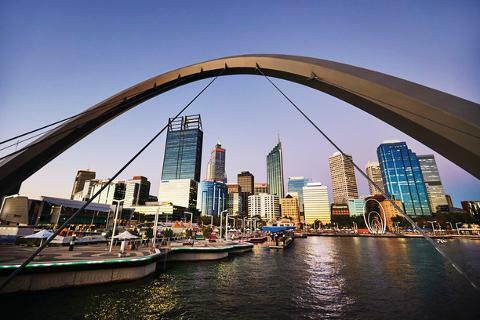 The tour includes Kings Park, Northbridge, Crown Perth, Bell Tower, city shopping malls, The Mint, Art gallery and Watertown discount shopping centre. 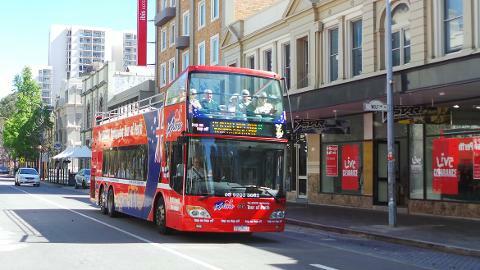 Your ticket is valid for 48 Hours from when you first board and includes a tour around Kings Park. Use the hop on hop off facility if you wish. We run 7 days a week. Buses come round every hour. 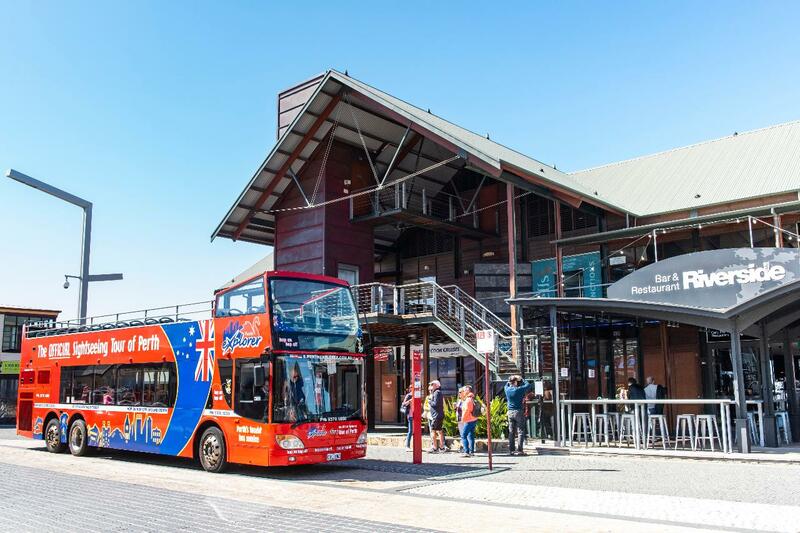 Jump on board the bus at any of the stops, at any of the times.